Plants bright light-green, usually forming dense cushions up to several cm high. Stolons 0.5-1.0 mm in diameter, profusely branched, attached to substratum by short rhizoidal branches and bearing erect, often dense, assimilators on short (1-2 mm) usually unbranched cylindrical stalks. Dense alternate (sometimes opposite) branchlets have swollen, pear-shaped tips up to 1mm or more in diameter. Recorded from Haga-Haga to Mozambique (Coppejans et al. 2005) (42-58). 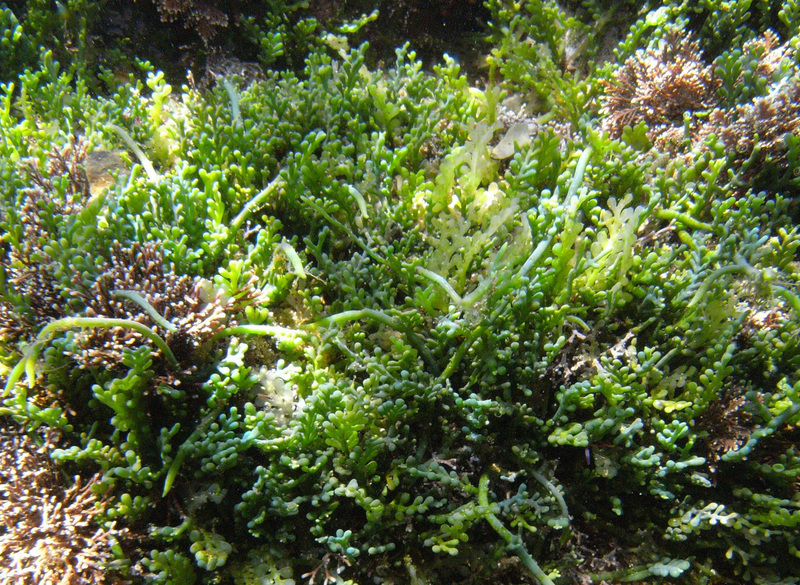 Lower eulittoral and eulittoral fringe, often interwoven with other algae. World distribution: restricted to the southern African coast. 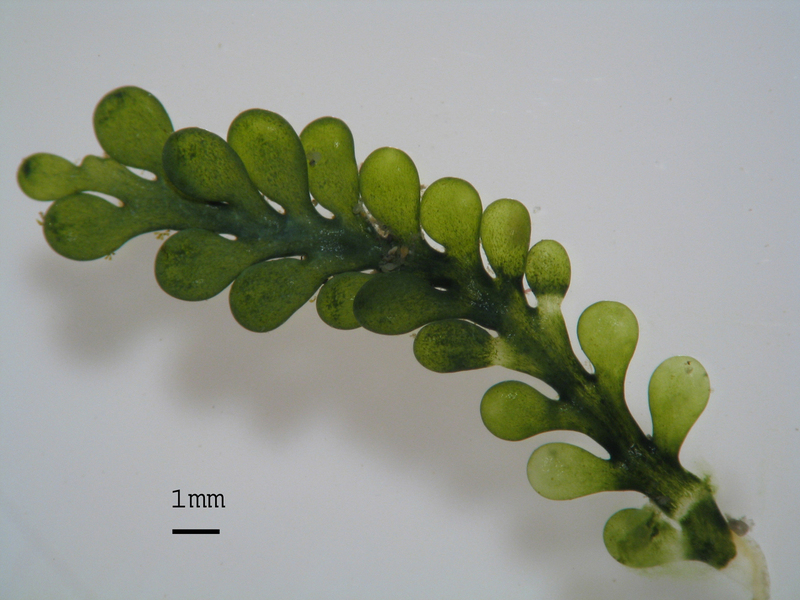 Type locality: "Coast of southern Africa" (Silva et al. 1996). Kützing, F.T. (1857). Tabulae phycologicae; oder, Abbildungen der Tange. Vol. 7 pp. i-ii, 1-40, 100 pls. Nordhausen: Gedruckt auf kosten des Verfassers (in commission bei W. Köhne).